As Namibians we all know the perils of getting clean drinking water in towns and suburbs. There are many ways of cleaning your water for everyday use, but many come at a great cost or are very time consuming. Here are some ways in which you can clean your water. Buying bottled water is a great option if you are going on holiday or visiting a restaurant, but buying bottled water in large quantities can come at a risk to your health not to mention the costs involved if you buy your drinking water on a regular basis. When commercially used plastic comes in contact with heat (from being transported in trucks or your vehicle) it can cause many health risks, such as cancer. Research suggests that all plastics may leach chemicals if they're scratched or heated. Research also strongly suggests that at certain exposure levels, some of the chemicals in these products, such as bisphenol A (BPA), may cause cancer in people. Read more about the health risks here. Refilling plastic containers is not recommended as this can also cause the plastic to leach into your drinking water. Remember that most commercially available plastics are made for 1 use only. 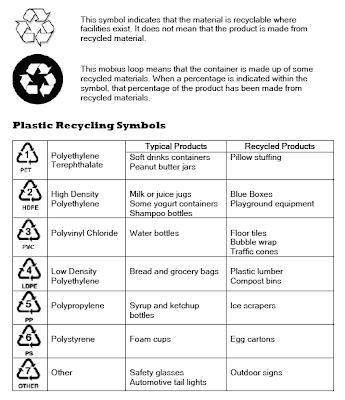 How to know if your plastic bottles or containers are made for multiple use is to check the bottom of the container. Most will clearly be marked with a small triangle and number, see the image below for reference. If you do opt for buying your drinking water, then rather buy glass instead of plastic. These little filters are great, but need lots of cleaning and refilling on a regular basis. When clean they can filter about 5 liters of water in 30 minutes. Here you have the option a getting plastic, stainless steel or terra-cotta. The stainless steel and terra-cotta being the better options as it is safer, will last longer and keep the water cool. These filtration systems need a filter refill at least every 3 months. There are a few natural water filtering options when it comes to going green. One of these being charcoal, yes charcoal, but don't go adding any charcoal in your water after a braai. Some health stores and retailers stock specifically treated charcoal that can be used for cleaning drinking water. 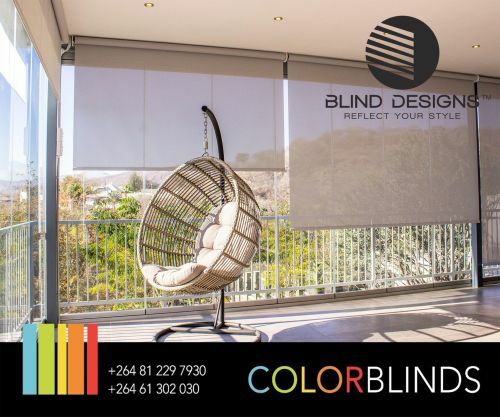 We suggest this option when you go camping or do not have any other filtering options available for a shorter period of time a it can be a bit time consuming and needs some planning in advance. An average stick of charcoal needs up to 8 hours to filter about 2-4 liters of drinking water and also needs to be cleaned by boiling every few weeks. These water filtration systems are normally the best value for money if you consider the costs and time of all the above mentioned filtering systems. Especially if you have a larger family and need to have clean drinking water available at hand. One of these is the Puricom Europe CE-R3 home filtering system which is readily available at Heat Exchange Namibia. 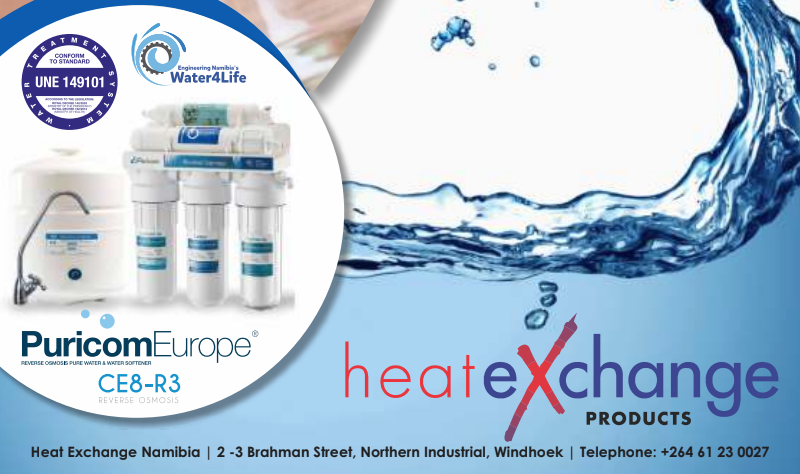 Using the latest in Reverse Osmosis technology the Puricom Europe CE8-R3 home filtering system goes beyond the abilities of typical water filtration by using a semipermeable membrane to remove impurities from water. This water filtration system provides a low-maintenance, chemical-free option to help achieve clean, great-tasting water each and every day.